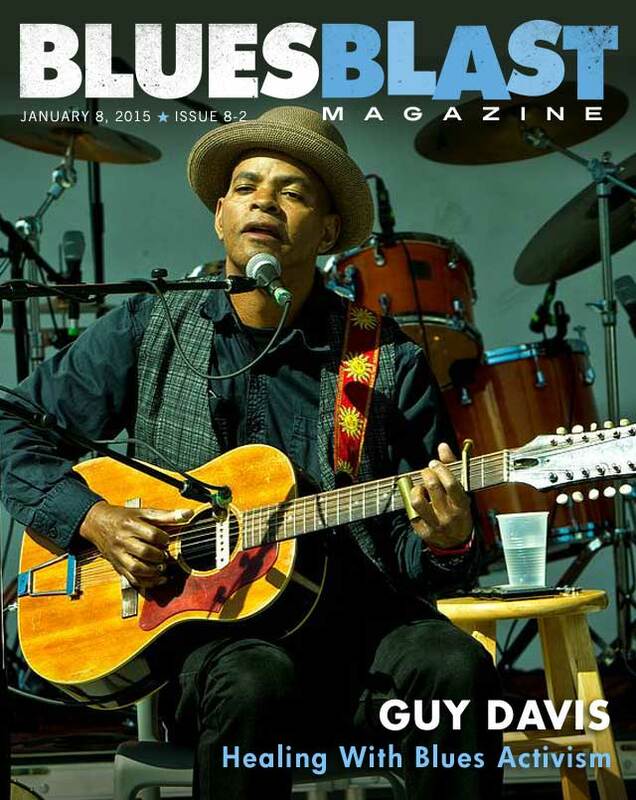 Tee Watts has our feature interview with Guy Davis. 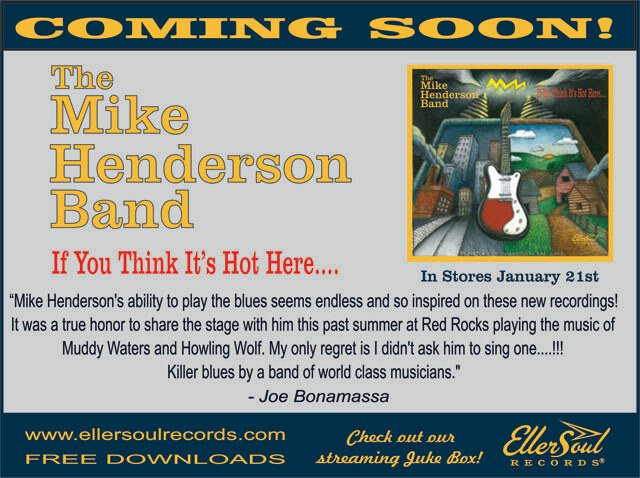 We have 9 music reviews for you including new music from Kelly’s Lot, Michael Barclay, AC Myles, Aki Kumar, The Knickerbocker All-Stars, Wailin’ Walker, Devon Allman, Jimmy Carpenter and Sauce Boss. 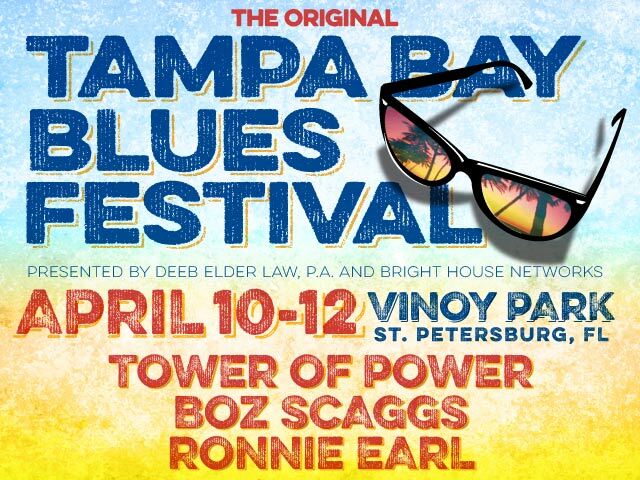 Just another reminder of our clearance sale on Blues Blast t-shirts. Until the end of February we are offering Free Shipping on all Blues Blast Ts. We ordered a wide array of colors and sizes in both men’s and women’s. We even have a few long sleeve ones. What do Taylor Swift, Adele, Madonna, and Southern California native Kelly Zirbes, of the band Kelly’s Lot, have in common? They’re all female dynamo singers who are the main showcases of their respective bands. In time, these first three have ascended the pop charts to become some of the country’s best household names. Hopefully the fourth will as well, in the dual arenas of R&B and straight blues. 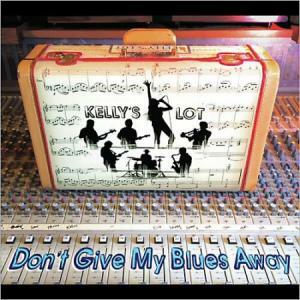 Kelly and her Lot have a great horn section, and twelve original songs, on their new CD Don’t Give My Blues Away. Those searching for sizzling saxophone and tasty trumpet will definitely find it here, but the guitar work is slightly less noticeable. This is a lighthearted party album, featuring Kelly’s good-natured vocals with a sharp-edged kick. The three tunes below are the most danceable, whether fast or slow. Kelly’s Lot consists of Kelly Zirbes as the lead chanteuse, guitarists Perry Robertson and Rob Zucca, bassist Matt McFadden, drummer Robert Dill, Bill Johnston on saxophone, Dave Welch on trumpet, pianist Teresa James, and Fred Mandel on B3 organ. All of the album’s selections were written by Zirbes and Perry Robertson, except “Woman’s Love” which was co-written by Kelly and Rob Zucca. Each track is played with a nice balance of energy and musical technique. Track 01: “Hush Up” – This CD’s opening number contains its title, belted out at the beginning. Listeners might be tempted to forget the real name of “Hush Up”, but that’s a minor risk. What do people do when their lovers start blabbing relationship secrets to everyone around? One solution is to give the gossip-mongers an ultimatum: “When I get lonely, you’re all that I need. When I get those feelings, I’ll come clean. When I get down, I always get up. I think it’s time for you to hush up….” The Lot’s instrumentation is in top form, especially the horns and bass beat. Track 04: “Woman’s Love” – This is one song in which Perry Robertson and Rob Zucca’s guitar work is simply brilliant. Electric shredders don’t always have to scream in order to be effective. Sometimes soft strumming and notes that fall like snowflakes are far better mood-setters. “Can you hear me? Can you feel me?” cries Kelly in equal parts desire and frustration. Track 06: “Right Now” – With a tempo as urgent as its title, track six is a rollicking blues rocker. Love can’t wait, and neither can our narrator: “Tonight, I’m going to open up my soul. Tonight, I’m going to let everybody know that nothing’s going to make me turn around and go.” This the perfect tune to play if you’re in a hurry to get to a swinging celebration, if not on one’s morning commute. Check out the killer guitar solo in the middle. Kelly’s Lot sure has a lot to give to the R&B world in 2015! Midway through our roving conversation, Guy Davis explains his first meeting with Robert Jr. Lockwood. “In 1993, I went down to Memphis to accept the Keeping The Blues Alive Award which, at the time was called the W.C. Handy Awards. I received it for my portrayal of Robert Johnson in Trick the Devil. I go out on stage and Robert Cray hands me the award. After the awards ceremony there was a jam session on Beale Street in an auditorium. You could actually walk from the aisle of the auditorium, right up some steps onto the stage. So I got a chance to play a short acoustic set. That did it! As I was coming off the stage at the end of my set, I looked way up to the top of the aisle at the back of the auditorium. Robert Lockwood, Jr. was standing under an exit sign. He raised his hand to beckon me to come to him. The stage is linked directly to the DNA of Guy Davis. It is his muse. Most baby-boomers familiar with African-American film and stage know that the Bluesman’s parents, Ossie Davis and Ruby Dee were groundbreaking, critically acclaimed thespians. Combined, they appeared in close to 300 film, television and stage productions. Ossie Davis also had director’s credit on five films. Guy Davis’s own acting career stretches back at least as far as his 1984 lead role with Rae Dawn Chong in Beat Street. He had a steady television roll as Dr. Josh Hall for two seasons on the seminal soap opera One Life To Live. The aforementioned Trick The Devil, was an off-Broadway production. Before that, in 1991, he made it to the bright lights of Broadway in the Langston Hughes/Nora Neale Hurston Musical Mulebone. He created and wrote his own one man theater piece, In Bed With The Blues: The Adventures of Fishy Waters. Davis’s other theater and writing projects have been met with critical acclaim. 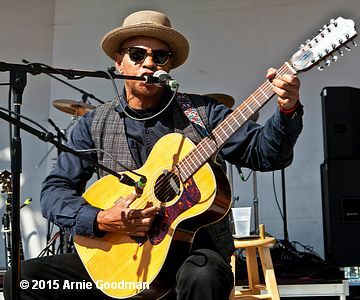 Though his acting chops commingle with his musical endeavors, for the past twenty-plus years he has focused his artistic expression on acoustic Folk Blues. There was a time though, before he even picked up an instrument when the music of Leadbelly got to him. 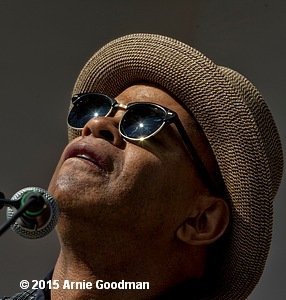 Guy Davis’s soft spot also includes a deep reverence for the Blues and what it means to him. “Now with Black folks, so much of our time and effort is spent trying to get ahead, we don’t even think about that; the ones that came before. We don’t think about some of the older music because it was back there in the direction of slave times, minstrel times, shufflin’ with the banjo and things like that. I think it is time for us to stand up and take ownership of our music. We may never get it back financially cuz whatever money is being made from the Blues to a large part is not being made by the descendents of the people who invented the music. But we gotta take emotional ownership of it. We’ve got to stand up, learn it and know it. The Blues is a collection of stories connected to us, made up of our flesh. 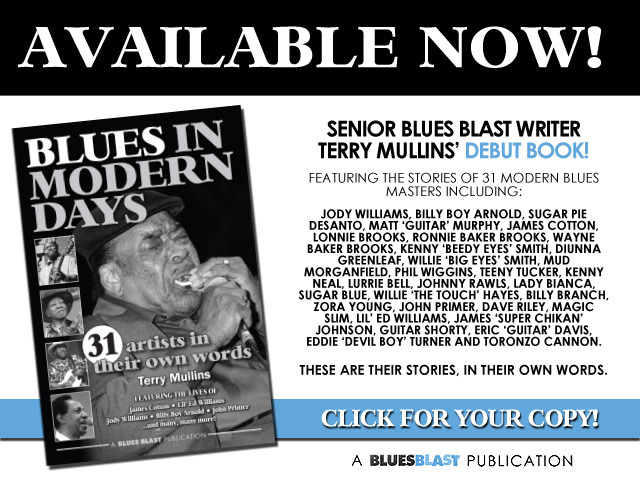 Guy Davis clarified the quote for Blues Blast. Guy Davis’s political stance is not by accident. His parents, besides being award winning actors, writers and directors, were potent activists. Blues Blast asked him what musicians came through the Davis home as he was growing up and his answer was not very many. 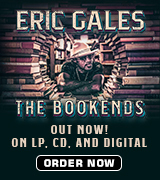 The conversation turns to the spiritual power of the Blues when a NPR interview that Guy Davis did is mentioned. In that radio broadcast, Davis speaks of visiting the Stovall plantation in Clarksdale Mississippi and the very shack that Muddy Waters lived in and trying to remove a nail from the structure. 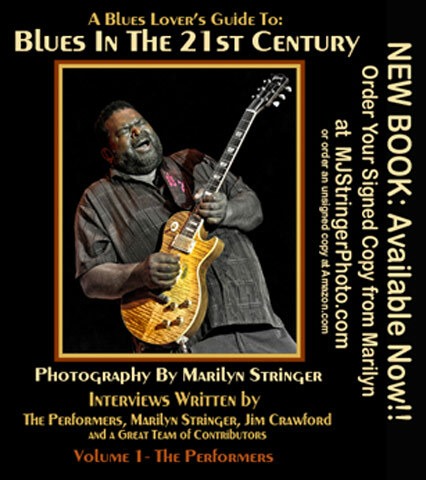 Urged on, Davis spins more of his perceptions of the mystical experiences that have happened to him as a Blues artist. Shifting subjects again, Guy Davis’s voice lightens up when he speaks of his involvement with teaching schoolchildren about the Blues. As we finish our time with Guy Davis closes with a comparison of modern day Blues musicians to the first generation Bluesman who lived the live they sang about. ‘Um, I think it was Buddy Guy who once said he was a Blues Musician, not a Blues Man. Being a Blues man is a tough thing. If you live long enough, bad health is gonna get ya. Diabetes is one of the killers of not only Black People but Bluesmen to. The overuse of alcohol will break you down. It’s a luxury for us to be able to experience this music as musicians as opposed to the first generation that had to live this stuff. They had to sing their way out of heart sickness, from being under the thumb of Jim Crow. Such hard times. If I could get us all in a room, I would try to cut most of my drinkin’ in half, to get a lot more health food into us. I’m not necessarily saying end the smoking and drinking but get it under control. We need that kind of love and attention and care. There’s something so attractive about that stereotypical Blues Man with the cigarette and the hat. That’s all well and fine, but you gotta go home and rest after that. Get your sleep. Nourish your mind and heart. To all the Bluesmen I would say, let’s look after ourselves. Interviewer Tee Watts is music director at KPFZ 88.1 fm in Lakeport, CA and road manager for Sugar Pie DeSanto. Northern California-based Michael Barclay has been around for a long time, playing with Chuck Berry in the 1960s and jazz singer Randy Crawford in the 1970s. 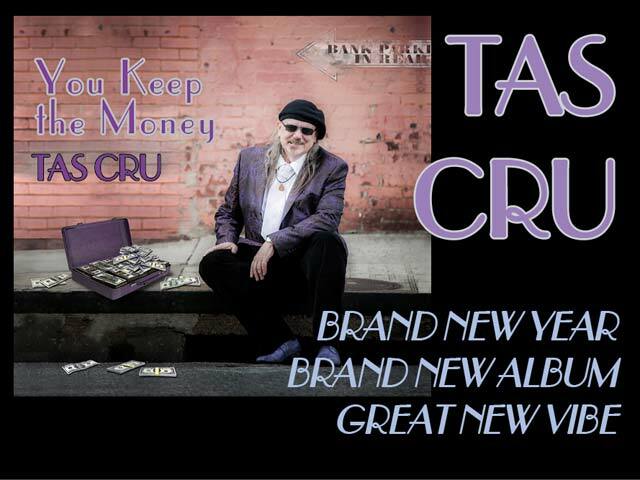 His new album (his fourth solo release), King of Hearts, is a self-produced 14 track collection of first class blues-rock songs. The track listing is an enjoyable mix of classic covers and originals. 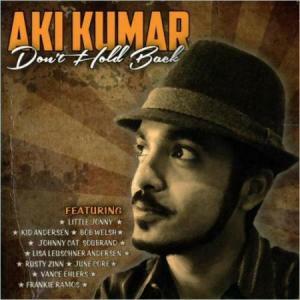 The choice of covers may appear at first to be slightly uninspiring, including several songs that are played every night at every blues jam in every city in the world: “Everyday I Have The Blues”, “Someday After A While”, “Key To The Highway” and “Stormy Monday”, as well as The Beatles’ “Come Together”, Tom Waits’ “Way Down In The Hole” and a jazzy instrumental version of Hoagy Carmichael’s “Georgia On My Mind”. King of Hearts is very much a labour of love for Barclay, who produced, arranged and mixed the album himself, in addition to programming the drums and organ/synths, singing lead vocals, and playing lead guitar, bass, electric piano, clavinet, organ and trumpet. He also wrote five of the songs himself and co-wrote one with tenor and alto sax player Roger Volz (the 70s-esque funk instrumental, “Fatass Funk”). Other musicians include Midge Gannon on background vocals, Joel Rudinow on acoustic piano; Jack Jacobsen and Lowell Levinger on organ; Blair Hardman and Evan Palmerston on bass; and Kendrick Freeman on drums. To his credit, Barclay manages to create the feel of a full band playing live on each song, and he has an enjoyably assertive, full-bodied guitar style, that displays hints of the influence of Eric Clapton, B.B. and Freddie King in the note selection and warm, mid-range tone. He also turns in some fine, slashing slide guitar playing in the title track. His voice is less strong, struggling at times, especially on the slower, bluesier tracks. It also however displays a vulnerability at times which is genuinely affecting. 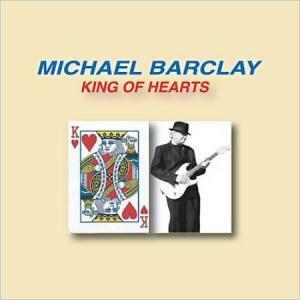 King Of Hearts doesn’t break any new musical ground, but is a solid and enjoyable blues-rock effort from Barclay. 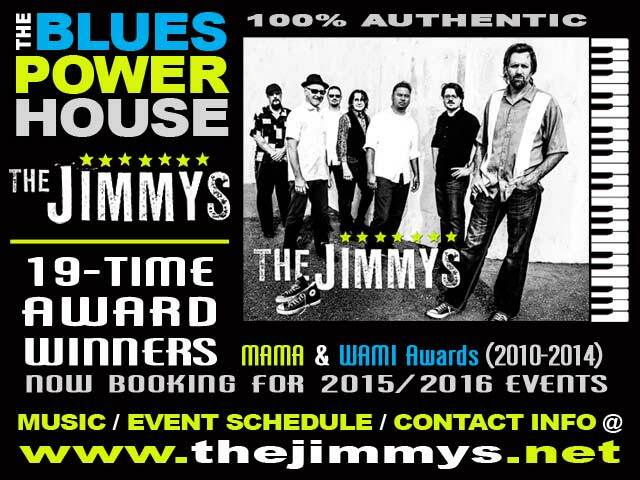 Particularly recommended for fans of the likes of Eric Clapton and Chris Antonik. 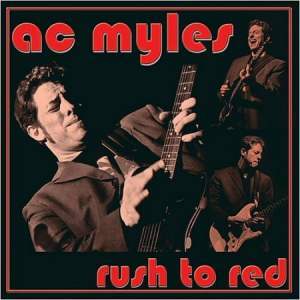 AC Myles has a fine pedigree; after touring with his own band as a young man he ended up in San Francisco where he found work as a sideman for killer acts such as Fillmore Slim and Joe Nemeth. This experience honed his performance skills and helped him develop his own brand of blues chops on both guitars and vocals. For his debut album, Reconsider Me, he hooked up with the legendary Kid Andersen, who produced this project as well as recording and mastering it at his Greaseland Records in San Jose, California. Things happened quickly, as they only had to spend two days in the studio, which gives this disc a righteously vibrant feel! Here is an interesting ‘concept’ album! 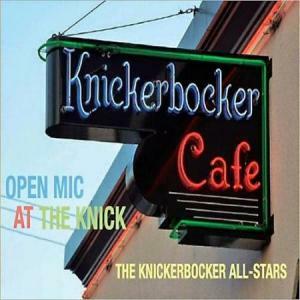 Two Westerley, Rhode Island, natives, Bob Christina and John Paul Gauthier, decided to recreate the jam sessions that were once held at the Knickerbocker Café, ultimately leading to the establishment of possibly Westerley’s finest export, Roomful Of Blues. 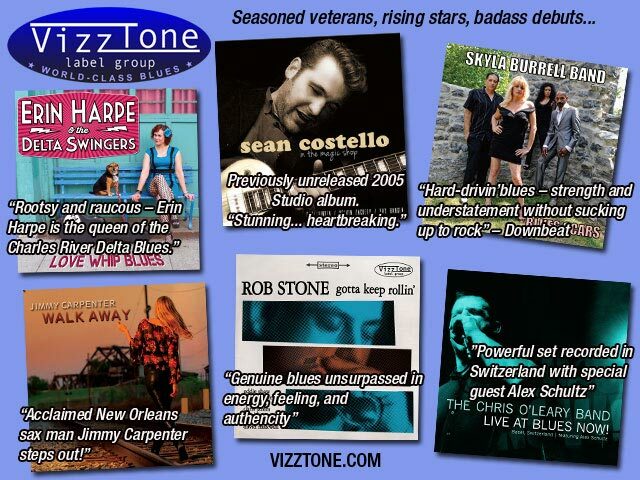 The core band here is Ricky King Russell on guitar, Bobby Christina on drums and Bob Worthington on bass, with the addition of a horn section which includes Rich Lataille of Roomful on sax, Dennis Cook on bari sax, Bobby ‘Breeze’ Holfelden on trombone and Doc Chanonhouse on trumpet. Piano is played either by David Maxwell or Al Copley and Nick Adams plays guitar on one cut. The material is drawn from the great era of big band R n’ B with songs associated with BB King, Freddie King, Lowell Fulson and Bobby Bland amongst others. So, how to get the authentic vocals to go with this stellar band? Just ask seems to be the answer, as the following all appear: Sugar Ray Norcia, Curtis Salgado (both one-time vocalists with Roomful), Malford Milligan, Johnny Nicholas, Brian Templeton, JP Sheerar, Willy Laws and Mike O’Connell. Finally another Roomful connection was established by having original drummer (and Bob’s brother) Fran Christina play on three tracks. Every track here is great so it is hard to pick out just a few favourites but the album starts with a bang with the great Sugar Ray Norcia singing “You Upset Me Baby” brilliantly, the horns absolutely on fire with exciting solos from Ricky on guitar and Rich on alto. Johnny Nicholas sings superbly on “Jelly Jelly”, a song written by Earl Hines and Billy Eckstine and Malford Milligan (former vocalist with Texan band Storyville) delivers a fine Bobby Bland style vocal on “Turn On Your Lovelight”. 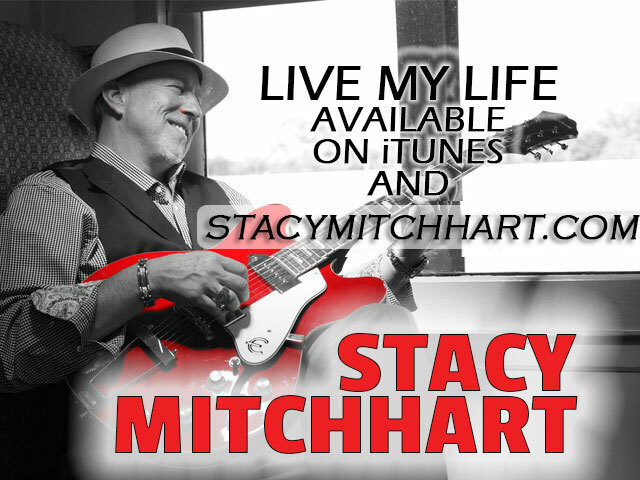 Another song associated with Bobby, “Ain’t That Lovin’ You” brings Curtis Salgado to the microphone in very relaxed mood for a jazzy rendition of the song. Two songs strongly associated with Freddie King appear late on the CD with Brian Templeton leading from the front on “Tore Down” and Mike O’Connell delivering an equally strong performance on Don Nix’s “Going Down”. Appropriately both tracks feature some determined soloing from Ricky on guitar, well supported by the horn section and David Maxwell’s piano (David played with Freddie in the 70’s). Elsewhere Willy Laws sings well on a solid version of “Mother-In-Law Blues” (Gene Barge) and Roy Milton’s “It’s Later Than You Think” romps along with Sugar Ray’s second vocal contribution, twinkling piano and honking sax. Classic material, great horn arrangements, fine singing – what is there not to like? 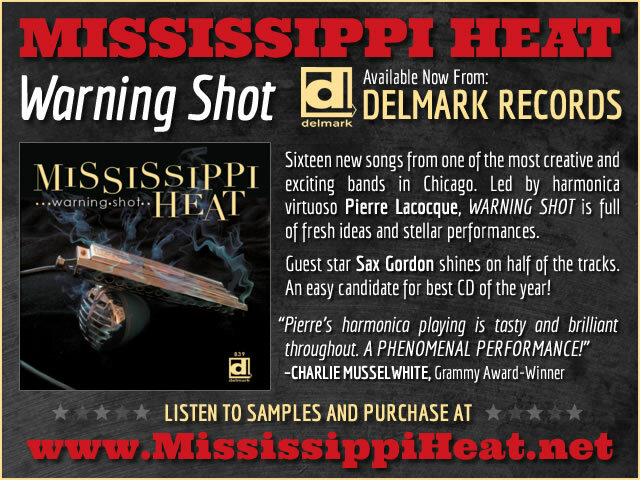 Despite there being no original material this CD it is well worth investigating if horn driven, big band blues is your interest and comes highly recommended by this reviewer. Much of this record could have easily been called “Music To Be A Biker By”. 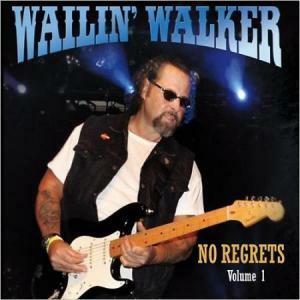 A lot of what Vancouver, Canada native Al “Wailin'” Walker does here is crushing testosterone-charged blues-rock with some rockin’ blues and soul-searching introspection thrown in for good measure. The band’s bag of tricks is more diverse than it appears at first glance…They are capable of pulling off a slow blues, a shuffle and some moving moments. Walker’s husky vocals and take-charge guitar playing is presented basically as a power trio with a muscular rhythm section and occasional keyboards. The “man’s man” vocals complement the atmosphere of the music perfectly. Wah-wah guitar, crunchy chords, bent notes and throaty vocals begin the assault on “Stop Talkin”, a scathing attack on lying politicians and other “blow hards”. “Lookin’ Good” is Z.Z. Top inspired biker-rock showcasing Walker’s fleet-fingered guitar skills. The traditional blues “Drink Muddy Water” is given the blues-rock treatment with catchy guitar interplay with guest Jerry Doucette. If Willie and Waylon were bikers they might have conjured up a heavy tune like “Don’t Make Outlaws”. The music here sounds like Chuck Berry channeled through The Rolling Stones. Robin Trower-like spacey guitar textures vaguely creep into the moody “Just Like Gold”. A driving guitar assault leads into Ventures-like guitar over a heavy guitar backing in the instrumental “Knuckle Sandwich”. The Robin Trower influence also rears its’ head in the heavy “Save Some Love”. The boys serve up a T-Bone Walker-type shuffle in “What Kind Of Woman”. They do a fine job on Frank Zappa’s “Lucille Messed My Mind Up” with its’ phased guitar sound. The narrator of “Balls On Fire” digs his girl so much that it feels like his balls are on fire…That’s gotta hurt! “Black Mass” closes things out with a demonic narrative spoken over the music. After all is said and done Walker and associates show their versatility. They are able to crank out some heavy-handed rock along with some more subtle fare. What is revealed is that there is a lot of skilled technique at work here. At times the testosterone level of the music gets to be a bit much, but just when you think the roof is about to come crashing down on you, here comes some intricate guitar playing to bring things back to mother earth. These guys know what they are doing and do it well. Devon Allman is clearly a guy who hates taking it easy. 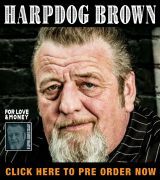 If he is not touring with Royal Southern Brotherhood he is playing or recording solo material. For this album Devon broke away from his habit of recording ‘down south’ and headed to Chicago to record with another hyperactive musician, Tom Hambridge, who produced and played drums. Devon used Felton Crews on bass, Marty Sammon on keys and Giles Corey on rhythm guitar; Bobby Schneck Jr plays guitar on one track and adds backing vocals on two tracks, as does Wendy Moten. The material is a mixture of five Devon originals, three well-selected covers and material written for the sessions by Tom Hambridge and his regular writing partner Richard Fleming (three songs, plus one written by Tom and Lee Roy Parnell). Strangely the CD opens with three of Tom’s songs but they all fit Devon’s style really well. “Half The Truth” has some searing lead guitar from Devon over an insistent rhythm riff from Giles as well as displaying Devon’s distinctive voice from the start. Devon has always avoided direct comparisons with his father Gregg but on “Can’t Lose Them All” the band creates a very Allman Brothers feel, especially in the twin guitar work and Marty’s B3 underpinning. Devon may not play slide but he has clearly inherited some of Uncle Duane’s abilities as a sinuous solo here demonstrates. The third Hambridge tune is “Leavin’” on which Giles plays acoustic guitar, Devon electric rhythm and Bobby Schneck takes the solo honours. The combined effect of the guitars takes us back to “Brothers And Sisters” era ABB on a tune with an excellent hook in the chorus. The Spinners’ “I’ll Be Around” is given a sprightly makeover with more fine rhythm work from Giles, allowing Devon to embellish with small guitar accents while combining his vocals with those of Wendy Moten to good effect. A striking solo tops off the song which is a highlight of the album. Marty Sammon takes a break on Devon’s “Traveling” which is a muscular workout with plenty of wah-wah rhythm, a song that clearly reflects Devon’s globe-trotting with RSB as he observes “funny how cities at night look like galaxies from 30 000 feet”. 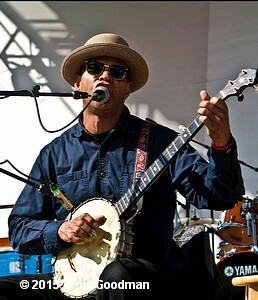 Undoubtedly the centrepiece of the album is the lengthy “Midnight Lake Michigan”, an instrumental in which Devon’s guitar ranges from eerie sounds at the beginning to full-on aural assault, primitive but effective, especially when supported by improvised percussion effects from Tom – the effect at times recalls Santana in the “Caravanserai” period. One suspects that this one was a late night studio jam which just took off, as only Devon, Marty and the rhythm section are present. A cover of Otis Taylor’s “Ten Million Slaves” hardly lightens the mood but is very well done, Devon’s gruff vocal particularly suited to the song’s bleak portrait of slave trading. Tom’s superb percussion on this track deserves a special mention. Two more of Devon’s originals follow, “Blackjack Heartattack” tells of gambling addiction, Devon using a slightly distorted vocal over a funky rhythm while “Back To You” is more personal, an overtly romantic song with some fiery playing over a gentle tune on which Wendy Moten’s b/v are a great addition. The last of Tom’s tunes is “Times Have Changed”, a foot-tapper with some rocking piano and guitar. Luther Allison’s “Ragged & Dirty” gives the album its title and is covered here in a short version with Devon singing strongly as well as playing some aggressive wah-wah. The album closes on a gentle note with Devon’s resonator set against percussion from Tom in a duo performance. Devon sings convincingly of needing to get away from the city, escape to the country and enjoy the quiet life – an unlikely possibility with his current schedule! 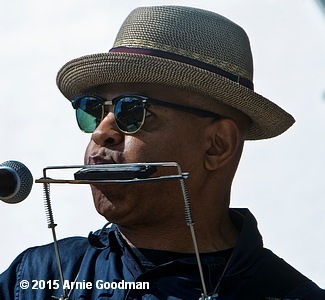 Although recorded in Chicago there is little straight blues here. 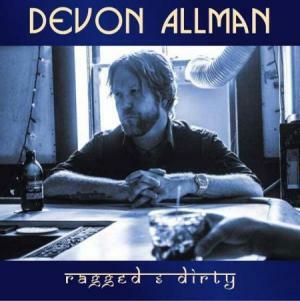 What there is in abundance is further proof of Devon Allman’s abilities as singer, guitarist, writer and interpreter of songs. An excellent album worth seeking out. Jimmy Carpenter’s storming sax has been heard with Jimmy Thackery, Eric Lindell, Walter ‘Wolfman’ Washington and, most recently, Mike Zito & The Wheel. However, until now we have not really heard Jimmy as a writer and singer. Those omissions are certainly corrected with this outstanding CD, recorded in Jimmy’s base of New Orleans with a solid core band and some interesting guests. Jimmy wrote all the material, handles the lead vocals and, of course plays sax, joined by John Fohl on guitar, John Gros on keys, Cassandra Faulconer on bass and Wayne Maureau on drums. Michael Skinkus adds percussion, Reba Russell sings co-lead on one track and backing vocals on three more, Anson Funderburgh and Mike Zito play guitar on one track each and Antonio Gambrell adds his trumpet to Jimmy’s sax on three cuts. The overall style is quite varied but what is consistent is the quality of the songs and the playing. In the liner notes Jimmy gives much of the credit to a new lady in his life, as well as some previous female influences. Opening track “Can’t Let Go” only has the sax and trumpet in a support role, solo honours going to John G’s organ and Anson Funderburgh’s guitar, but it’s a great start to the album, a really catchy little tune with Jimmy’s voice immediately making a strong impression. 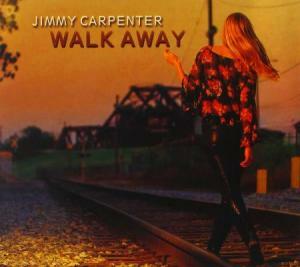 The title track adds some non-PC humour to the album with Jimmy’s admiration for his girl’s shapely rear view: “Sometimes I wish you’d leave so that I could watch you walk away”. The chugging R n’ B rhythm propels the song and Jimmy plays some great sax throughout. “When You’re Ready” has a funky Texas roadhouse feel with the piano and some buzzing guitar from Mike Zito who takes an intense solo, Jimmy leaving his sax behind but delivering a good vocal. “She’s Not You” demonstrates Jimmy’s song writing ability with a superb piece of soul balladry. Opening with Jimmy’s expressive sax the song progresses into a wonderful chorus: “I don’t know how to say it, but it’s not her it’s you. In the end there’s nothing she can do ‘cos you’re a hard act to follow, after what we had what am I supposed to do. You’re a hard act to follow, there is nothing wrong but she’s not you.” The sax solo that follows the chorus blows through the speakers like a storm – fantastic stuff! Across the rest of the album there are more songs in a variety of styles, all infused with Jimmy’s new found love: “Crazy ‘Bout You” sounds like a lost Springsteen song with Jimmy’s blazing sax and a rousing chorus and “More Than Meets The Eye” has a great hook on its soulful chorus; “Hard To Be Cool” has a big band feel with Jimmy on baritone and trumpeter Antonio creating a fine wall of horn sounds; “No One’s Ever” is a ballad with some gentle wah-wah and sax; “Favourite Muse” has a slightly latin, jazzy feel while “On The Outside” recounts Jimmy’s frustrations at not being able to get on to the inside of his target in a piece of pop/rock. The final track “Fellow Traveller” is another departure, a country duet with Reba Russell, the two voices combining on a rather sad ballad, the atmosphere accentuated by Jimmy’s lonesome sax solo. Two fine instrumentals complete the album, both featuring Jimmy’s sax. “C King Blues” has a soul feel (think King Curtis) and is the longest cut here; more of a NO feel pervades “7th Street Shuffle”, a lyrical mid-paced number that gets the toes tapping with solos on organ and guitar as well as Jimmy’s statement of the main theme. Overall this is a fine album that deserves attention and is highly recommended by this reviewer. 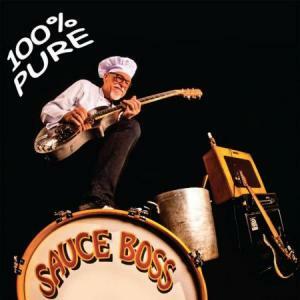 Sauce Boss is Bill Wharton, a mostly one man band who mixes true life into his songs. It’s perhaps an odd life as evidenced by some of the material in the songs, but interesting none the less! Hailing from the Motor City, Wharton wails on his guitar and lays out the lyrics with abandon. “Zipper Bird” opens the set. See? I told you. Guess what that one is about! There is a nice groove that he lays out as he sings a migratory story. “Marquis De Swamp” is a crazy and wild slide ride on his guitar. His crazed vocals are only topped by the spaced out guitar. More blatant innuendos fill the song as Wharton moans and laughs like a madman. “Gonna Be All Right” hearkens to better times as the dark is before the dawn, but Wharton has hope as he repeatedly screams out the title as chorus to the tune. “Chains” is not the pleasant Beatle’s number but a tune about how love is a double edged sword and we hold down the ones we love. It’s always good to take relationships to this high level. “Delta 9 Blues” tells us a little THC not only helps pain and glaucoma but also clears the mind. An odd, throbbing beat and groove just makes this more out there. “Peckerwood” ends the first half of this set of tunes and while I am half way through I was probably more lost that when I started. It’s a funky tune about a town that is out there with grass all colors of the rainbow. Great groove! Next up is “Chicago Combat Zone” where Wharton hearkens back to his early youth on the South Side where his Dad was beaten with a black jack when Wharton was just 3 years old. They moved, but Wharton still reflects about the town with over 2,000 shootings per year. He’s going back but leaving his gun home because they don’t need any more in that combat zone. “Cadillac of a Woman” is a beautiful country blues slide piece with whacked out lyrics about the Virgin Mary. He sings that, “she’s a diamond deluxe, a Cadillac of a Woman.” Yes, it’s weird. “Hey Wilbur” is a rocking little number. It goes down from there in a twisted call and response sort of way. Next up is “Sun” where the song relates a little sun in your face is a good thing. A tight groove, it’s pretty weird in comparison because it’s pretty normal. “Song of the Irish Band” is a Celtic sort of piece on how songs come into being and give us life. I was confused but I think I liked it. “Outlaw Blues” tells us of Wharton’s arrest in 1984 for cultivating weed. His timein Couty Jail is immortalized here. He shouts out the lyric on top of some heavy guitar. Wild. Sort of . The IBC is only a few weeks away, and we need to raise more money for our Challenge Winners, so please come out on January 10th to the Roadhouse 66 and have some fun with The Good, The Bad & The Blues and Li’l Red and the Rooster! We award the winners of our Challenge with prize money to help pay the way to Memphis, but it’s an expensive trip and we want to send them off with a little more cash in their pockets. We’re asking for $10 donations at the door, and 100% of any proceeds that night go directly to the musicians. Additional ICBC shows (all held in Springfield, Illinois): Jan. 15 – James Armstrong Presents @ The Alamo, 6 pm, Jan. 23 – Maurice John Vaughn @ Post 809, 8 pm, Feb. 5 – James Armstrong Presents @ The Alamo, 6 pm, Feb. 19 – James Armstrong Presents @ The Alamo, 6 pm, March 21 – Ronnie Baker Brooks ICBC 29th Birthday Party w/special guests the Blues Expressions. K of C Hall on Meadowbrook Rd. Springfield, Illinois. 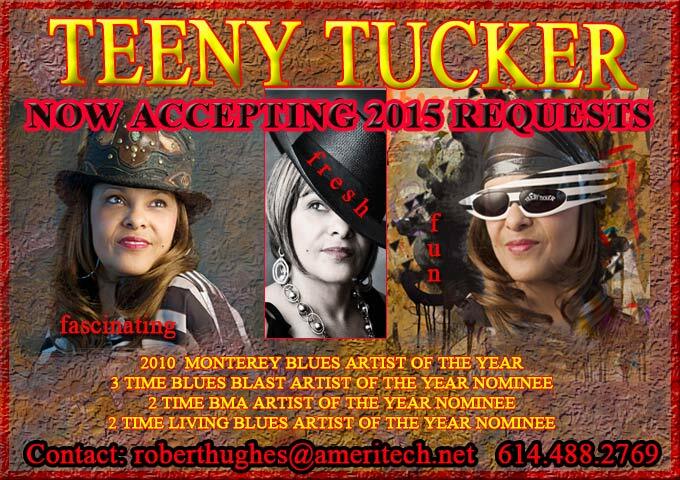 River City Blues Society presents Live Blues featuring: The River City Blues Society 2015 International Blues Challenge entry The Smokers Blue Band, 7:00pm Saturday January 17th 2015 at Goodfellas 1414 N. 8th St. Pekin, Illinois. Admission: $7.00 general public or $5.00 for RCBS members. The Minnesota Blues Society presents Road to Memphis Fundraiser Sunday, Jan 11, 2:00 pm-7:00pm at Wilebski’s Blues Saloon, 1638 Rice St. , St. Paul, MN. Let’s give the Minnesota IBC representatives, Jimmi and the Band of Souls-Band, Brother Sun Sister Moon-solo/duo and Black Water Blues Band-Youth Showcase a rousing send off.